Cancellations made more than 60 days prior to your arrival date will receive a full refund. Cancellations made 30-60 days prior to your check in date will receive a 50% refund. Smoking is not permitted in any residence. A $200 fee may be charged for ionization, if smoking in the property is detected. As a part of your stay, you may purchase a Vacation Rental Damage Protection plan designed to cover unintentional damages to the rental unit interior that occur during your stay provided they are disclosed to management prior to check-out. If purchased, the policy will pay a maximum benefit of $1,500. Any damages that exceed $1,500 or are not covered under the plan will be charged to the credit card on file. If, during your stay at one of our rental properties, an insured person causes any damage to real or personal property of the unit as a result of inadvertent acts or omissions, the Insurer will reimburse the Insured for the cost of repair or replacement of such property up to a maximum benefit of $1,500. Certain terms and conditions apply. Full details of the Vacation Rental Damage coverage are contained in the Description of Coverage or Insurance Policy www.vacationrentalinsurance.com/g20vrd]. The Vacation Rental Damage can be purchased up to, and including at, check-in. 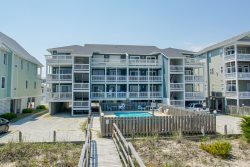 By submitting payment for this plan, you authorize and request CSA Travel Protection and Insurance Services to pay directly Coastal Carolina Vacations any amount payable under the terms and conditions of the Vacation Rental Damage. Please contact Coastal Carolina Vacations directly if you do not wish to participate in this assignment.